The product comes in a their usual cute white package box. The jar which contains the product is made from glass but mine has fallen a few times and it still hasn't broken (ggod stuff). The shade I got is called "black n brown" and it is quite similar to the ABH "chocolate" dipbrow pomade. 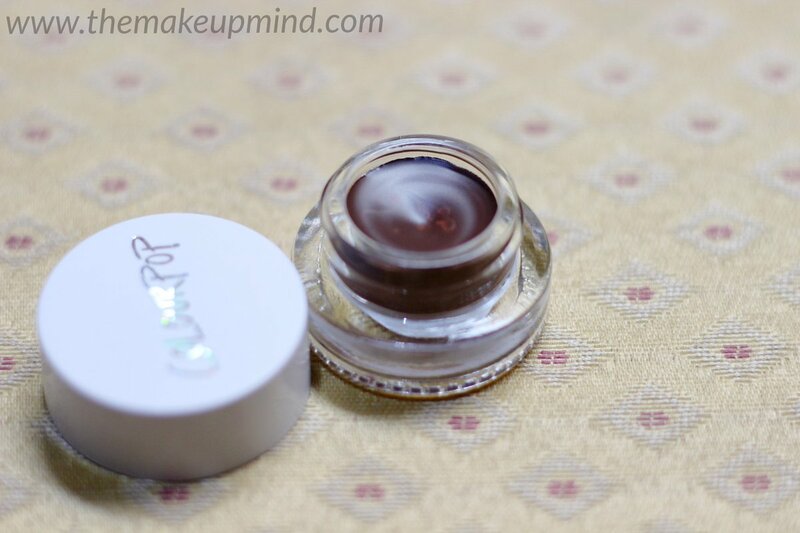 The consistency of the product is actually very smooth and this really impressed me. Upon application, the product glides on the skin smoothly without any issues. When using this product, a little goes a long way because if you use too much, you might end up with really dark unnatural looking brows. One thing I noticed about it is that it lacks the ashy look which makes the ABH brow product look more natural which is why a light application is recommended. Colourpop claims that this product is water-proof but I beg to differ. This product is in no way water-proof and can be wiped off with one stroke of your finger. On really humid days, this may start to fade off. 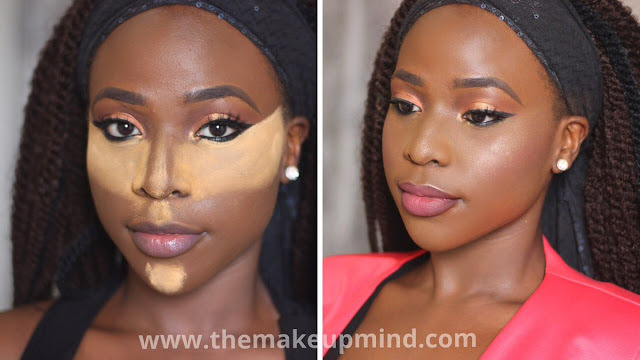 People who are new to makeup may have a problem with it because they may not be used to keeping their hands away from their face. 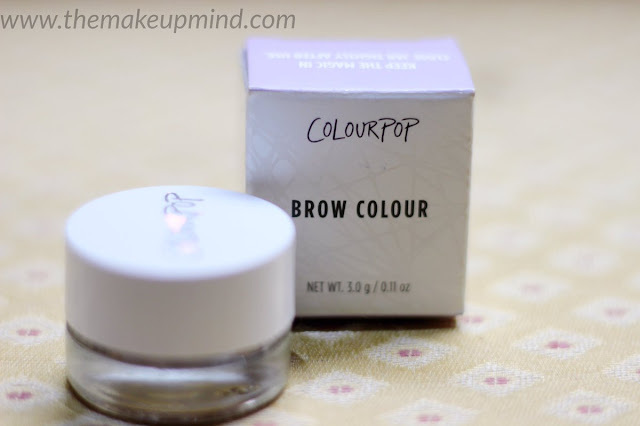 Although, using a brow gel helps to keep it in place for a longer period of time. The product started drying up after 3 months of use so I usually add some Inglot duraline to get the consistency back. For the price, I think this is a good bargain if you don't really care about water-proof makeup.